If you or a loved one has been seriously injured by another party and that person or group is being particularly difficult, you may want to put your personal injury case in the hands of a knowledgeable attorney. Missouri has its own unique set of laws and rules regarding how a personal injury claim is handled so you won’t want just any attorney, you will want one with local experience handling your type of case, like a Kansas City personal injury lawyer. Although reaching out to an attorney can help answer many of your burning questions, doing a bit of research ahead of your legal consultation can provide you with a better understanding of what to expect when filing a personal injury claim in the state of Missouri. Missouri, like other states, has a statute of limitations that dictates how long you have to file a personal injury claim with the court after an injury. In Missouri, if you do not start your negligence-based personal injury claim within five years, you will probably forfeit any chance to collect compensation as the court will almost certainly decline to hear your case. Additionally, all injury claims stemming from deliberate misconduct must be brought to court within two years. While there are some limitations in certain situations, generally, there are no limitations on damages that compensate you for your injuries. However, non-economic damages are more subjective and may be limited by circumstances surrounding your case or by statute. Damages that fall under this category may include the loss of companionship of your spouse or pain and suffering. Punitive damages are awarded to victims and are intended to dissuade others from engaging in grossly negligent behavior, meaning the high likelihood of injury resulting from a particular action was known or should have been known. 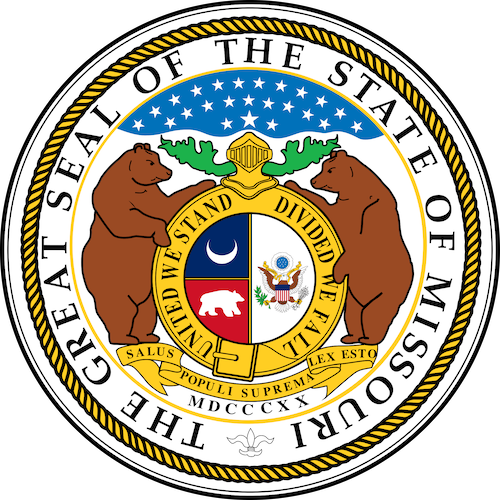 In Missouri, punitive damages cannot exceed $500,000 or five times the judgment, whichever is more; however, keep in mind that state and federal laws in the United States are always changing and there may be some exceptions to these limits. In most states, and to a certain degree, dog owners are typically protected from injury liability the first time their dog injures someone, provided that they had no reason to believe the dog was ever dangerous – commonly referred to as a “one bite” rule. However, a specific statute in Missouri makes the owner “strictly liable” and assume complete responsibility for a personal injury caused by his or her dog, regardless of the animal’s past behavior. In personal injury cases, the ways in which fault is determined and damages are awarded differ from state to state. Missouri implements a system known as “pure” comparative fault, which reduces the compensation an injured person can receive by his or her degree of fault – no matter how large or small the degree is. For example, even if the person is 99 percent at fault, he or she may still technically recover some compensation. Because Missouri abides by a “pure” comparative fault rule, the calculation remains the same regardless of how much fault is given to either party. How Much Will Hiring a Missouri Personal Injury Lawyer Cost? The majority of personal injury lawyers operate under a contingency fee agreement, meaning they will agree to represent clients without charging for their services until the case is either won or settled. While this minimizes the upfront costs for the plaintiff, it also incentivizes the attorney because he or she will receive nothing if the case is lost. The most common percentage for contingency fees in personal injury cases is around 33 percent, but some lawyers might take closer to 40 percent. Whatever the percentage might be, it should be clearly understood prior to signing any agreement. If you have any additional questions regarding the process of filing a personal injury lawsuit in the state of Missouri or need assistance finding the right lawyer to represent you, contact us at i-lawsuit.com today.